In one world, Smaug was defeated by a well-placed shot. However, the multiverse is a place of possibilities. Here, he still lives. However, in this world, Smaug is too tired to protect his cave any more. So, a bunch of bounty hunters tried to claim it. Smaug wasn’t about to leave his treasure with no protection at all, though.A curse of greed made the hunters fight each other, as Smaug watched on with glee. They fought, and more came, with every kind of gun that had been invented. You are one of those hunters, armed with the latest weaponry. Created through experimentation with quantum lines, the weapons never miss where they’re aimed. Your weapons were given to you by the government with the intent of capturing Smaug’s hoard once and for all. This was a top-secret government project, simply titled? Project Tremor. 10 guns, packed with features and you get one completely random! The game was built for 2 – 4 players, but for the best experience we recommend 4 – 5 or more players. There is NOT a max of players but we have tested 5 players at the most. The resource pack included with the map for best experience! This map is NOT compatible with Bukkit. Please use Vanilla for the moment. 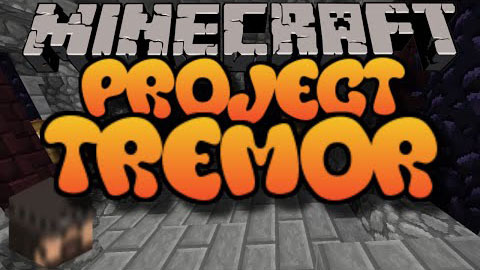 Download the Project Tremor Map from link below.